Chance found contentment in the garden. 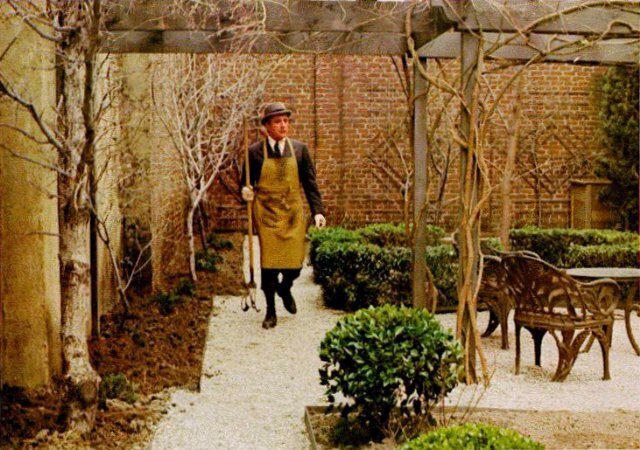 Although sheltered, he loved to work in the garden where he tended and cared for the plants. Nature's truths were his truths. And by reflecting the forgotten truths of nature, Chance is hailed as a hero. In a world flooded with propaganda, his simple observations come off as those of a genius. Here was a man who did not seek to justify himself. And the reactions to him by those who did justify themselves revealed them for who they were.